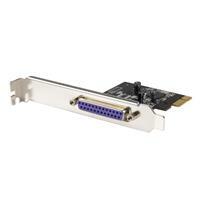 The PEX1P PCIe Parallel Adapter card can be installed in a PCI Express (PCIe) slot, allowing you to connect EPP/ECP parallel peripherals to any computer system. 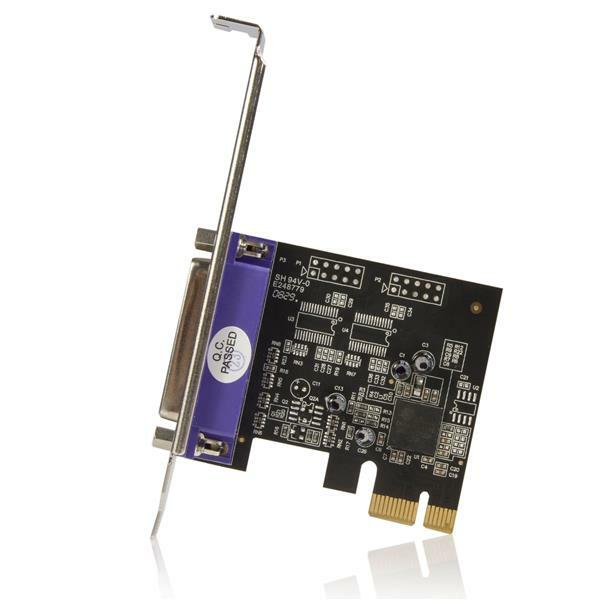 Relying on a native single-chip design(Oxford OXPCIe952), this adapter harnesses the true capability of PCI Express - ensuring maximum performance and reliability. 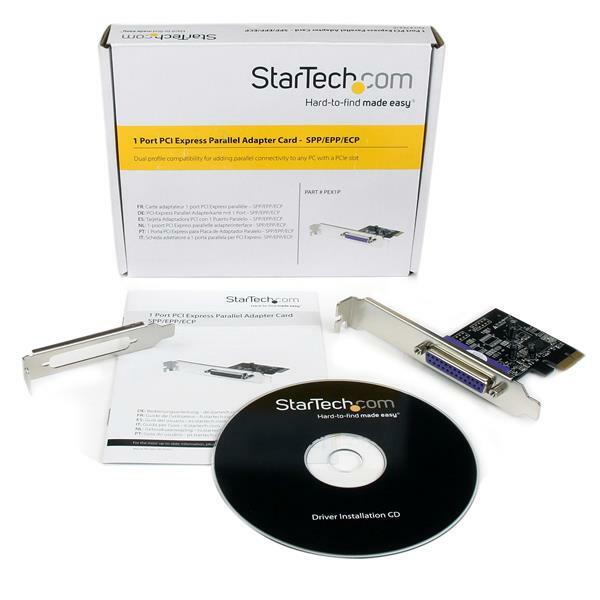 The PCIe Parallel Adapter card includes both standard and half-height/low profile mounting brackets and is backed by a StarTech.com two year warranty and free lifetime technical support. 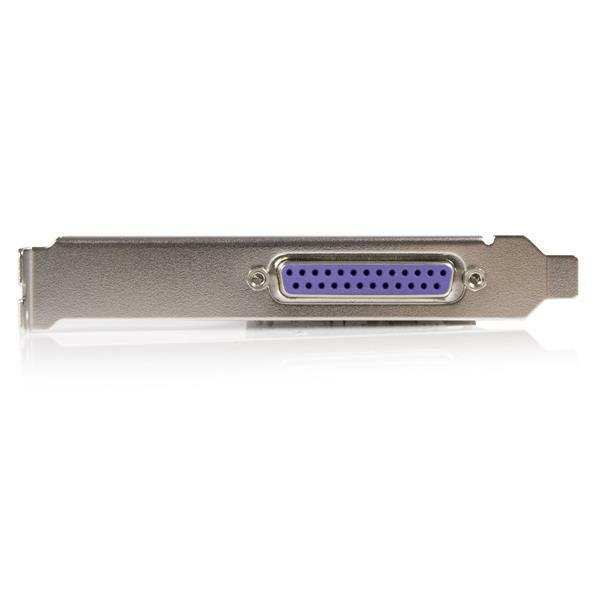 Connects any parallel peripheral including printers, scanners, CD-R/RWs, Zip® drives, and memory card readers.